this Australian bridal shower held for the paper extraordinaire behind Follow Studio is just the loveliest. There is something about drinking champagne out of a little milk jar that gets me and pop in a red stripey straw and I'm like butter in your hands. Would be uber cute for a little Valentine's Day soiree too. oh how i love stripey straws and bubbly! oh my gawddd. quite possibly the cutest thing I've ever seen! 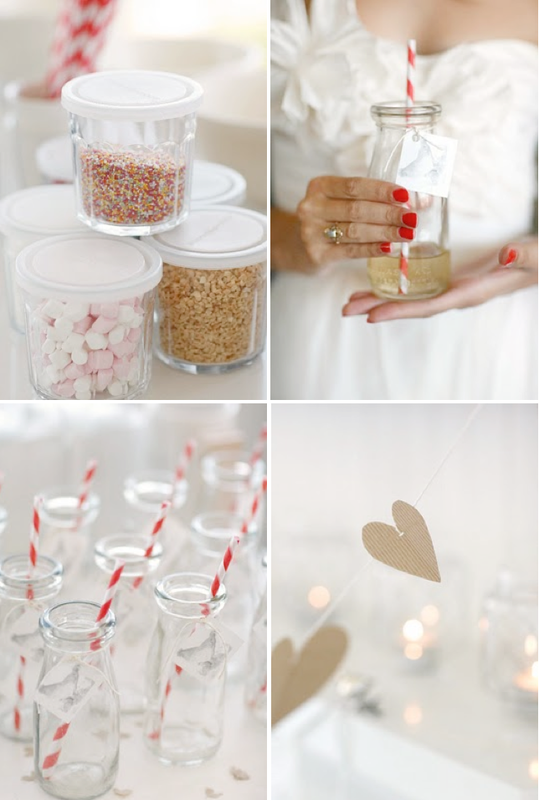 Love those straws and milk jars! Ohhh I love those red & white sippy straws! This is just too cute for words. I think I just died a little. right now i want nothing more than a milk jar full of champagne and a pretty little straw. so darling! Absolutely love the idea of straws and champagne! Perfect whimsicle touch to any bridal shower!